The Buses Lep company provides its services to travel across Córdoba Province since 1993. It has more than 110 buses with maximum capacity of 48 seats. It also has modern equipment. The company constantly seeks to provide quality services for its passengers. With this in mind, it works everyday with the aim of providing a service of excellent service that also provides comfort and ease of the users neigbouring more than 70 Córdoba locations. 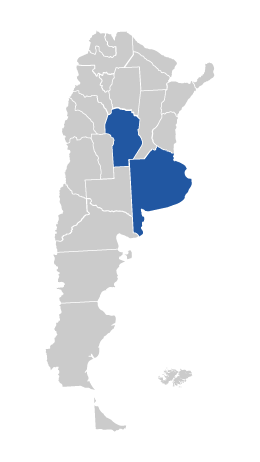 The company neighbours Santa Rosa de Calamuchita, Río Tercero, Almafuerte, Laboulaye, Río Cuarto, Jesús María, Villa María (Río Seco) and others locations inside Córdoba Province. Also, it connects Córdoba with another provinces like Buenos Aires, San Luis, Villa Mercedes, Mendoza, San Martin (Mendoza), Ojo de Agua, Loreto, La Bandaand Santiago del Estero.